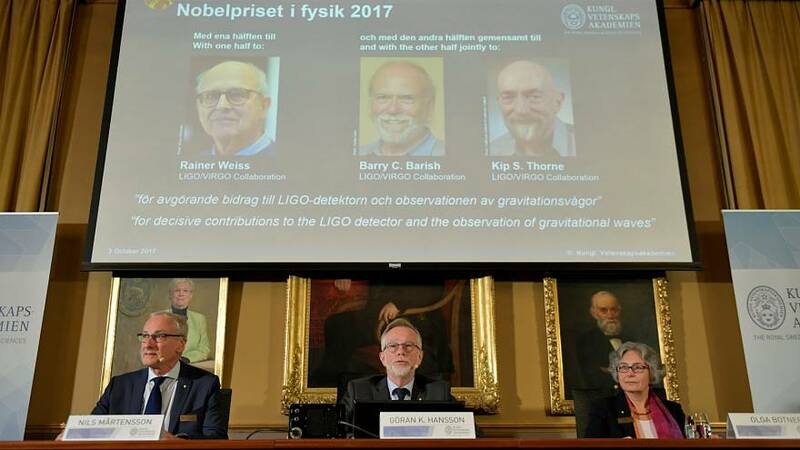 The 2017 Nobel Physics Prize was awarded to Rainer Weiss, Barry C. Barish and Kip S. Thorne for their contributions to the LIGO detector and the observation of gravitational waves. The prize is being announced today by Sweden’s Royal Academy of Sciences. Winners are rewarded with 9 million kronor (940 thousand euros). The LIGO gravitational wave observatory studies the physical properties of light and space aiming to understand the origins of gravitational waves. “I’m positively delighted that the Nobel Committee has recognized the LIGO discovery and its profound impact on the way we view the cosmos. This prize rewards not just Kip, Rai, and Barry but also the large number of very smart and dedicated scientists and engineers who worked tirelessly over the past decades to make LIGO a reality“ stated LIGO Executive Director, David Reitze.